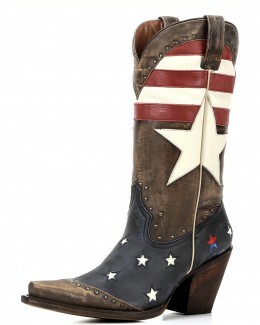 Rock the boardwalk in Redneck Riviera's Sand & Studs Diamond Cowgirl Boot. 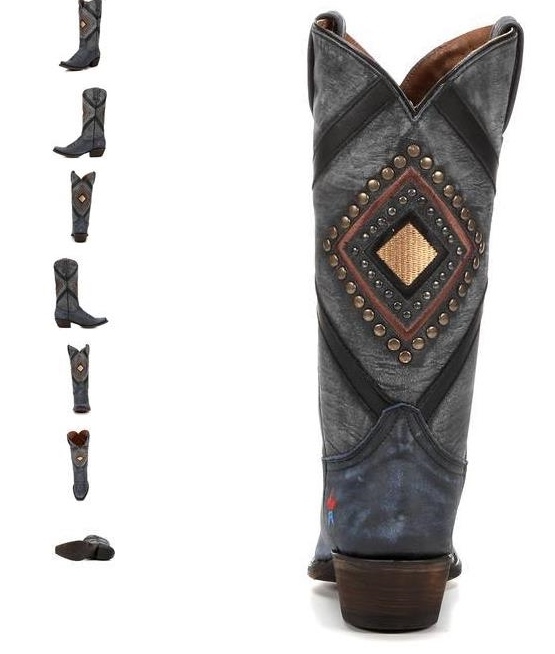 Both front and back are decorated in a stunning diamond pattern with a variety of studs and stitching. Black leather frames the centerpiece for unbelievable flair. The toe ends in a narrow square shape, while the heel features Redneck Riviera's star logo. 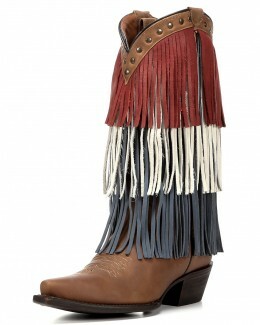 Its vintage foot and upper make this a stunning blue and black cowgirl boot. 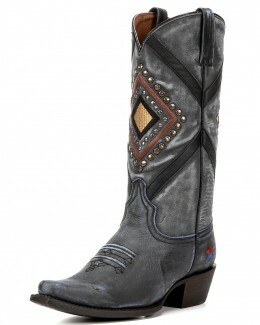 Kick up some fun in the Sand & Studs Diamond Cowgirl Boot! Shaft Height: 12", narrow square toe, 1 3/4 heel heigh, cushion insole, leather outsole. Shaft is 13" on a size 7. Measurement varies by size.